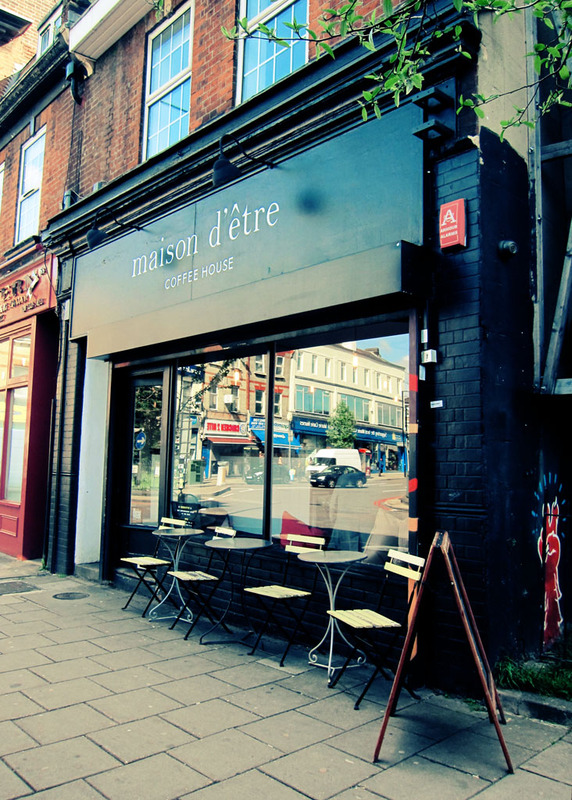 Maison D’etre is a popular independent coffee shop at the busy junction of Highbury corner in North London, serving freshly made food and drinks. The café does a roaring trade in the morning, with fast walking commuters making a brief stop for a take away coffee and a pastry on their way to the Tube. 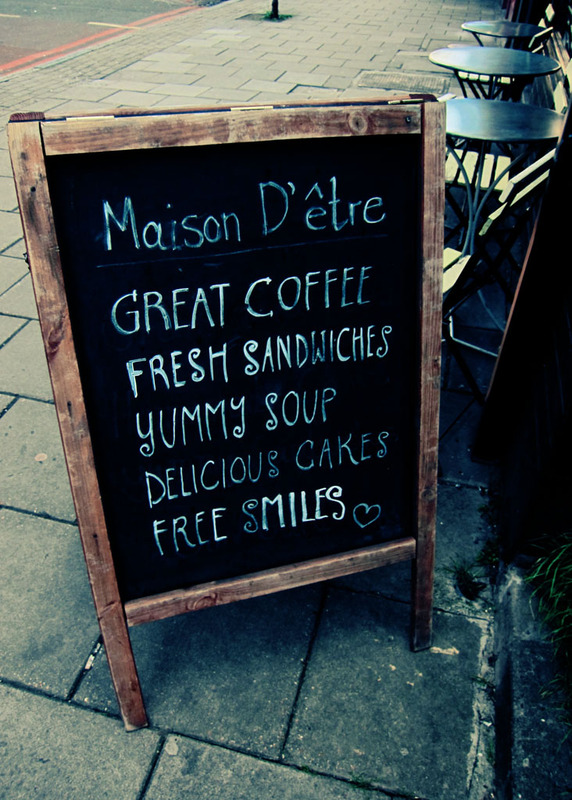 Then throughout the day a steady stream of locals and passers by pop in for either a well-made coffee, wonderfully flavoured cuppa or some seriously addictive baked goods. I could never go past a pot of freshly brewed tea and one of the café’s freshly baked scones, which are absolutely scrumptious! As is the homemade raspberry and lavender jam that comes with it. The scones, like the other tempting array of freshly baked goods (lemon curd and cream sponge cake – delicious), fill the counter tops and are actually baked by owner / baker extraordinaire, Kim. The atmosphere is also something worth coming in for. It’s relaxed and homely. Indeed the interior itself has a quirky, slightly Nanna feel to it. Imagine a collection of mis-matched chinaware, floral tea cups, old jam jars recycled as vases, vintage silverware, and small bunches of pink flowers, you get the idea. There is also a small back garden where you can enjoy a peaceful cuppa and slice of cake.